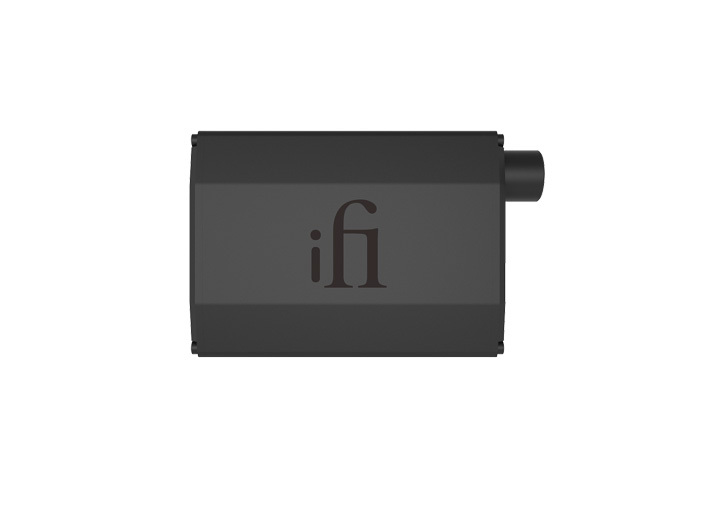 iFi’s diminutive and cost-effective Nano iDSD Black Label headphone amp/DAC ($199/£200) beckons with an extensive list of features and functions, but it creates an even stronger impression once listeners hear the device in action and grasp what it can really do. Conceptually, the Nano iDSD Black Label can be viewed as a ‘junior version’ of iFi’s critically acclaimed (but also significantly larger and more costly) Micro iDSD-BL amp/preamp/DAC, as reviewed in Hi-Fi+Issue 150. For obvious reasons, the Nano can not do everything its feature-packed and overachieving bigger brother can, but it does have distinctive technical tricks up its sleeve that make it quite appealing in its own right. Specifically, the Nano iDSD Black Label provides MQA support (which the Micro iDSD-Black Label does not), while also introducing iFi’s all-new dual-mono, ‘S-Balanced’ amplifier circuit topology. The point is that the petite Nano iDSD Black Label offers some compelling reasons why music lovers might want to add it to their personal audio electronics stables. Before exploring the Nano iDSD-BL, let me supply a bit of background information for those unfamiliar with iFi Audio. iFi Audio is directly descended from the respected British high-end audio company Abbingdon Music Research and it is important to understand that in every way iFi products deliberately leverage serious audio design know-how drawn from AMR. In fact, it is no exaggeration to say that iFi products aim to deliver the essential elements of the AMR sound, but in products that are compactly sized and that sell for down-to-earth prices. Those who have heard AMR’s premium-priced full size components will know they set a very high (perhaps impossibly high?) performance target for iFi products to aim for, but we can only applaud iFi for setting its sonic sights so high. Generally speaking, iFi offers three main families of personal audio components (Nano, Micro, and Pro-series models), the smallest and least costly of which are the Nano components, whose chassis are about the size and shape of a thick deck of playing cards. As we talk about the Nano iDSD‑BL, please bear in mind that it is an almost ideal ‘take-along’ size and compact enough to fit easily in trouser or jacket pockets, or in most any handbag. What does the term Black Label imply? Apart from evoking positive associations with a certain well-liked brand of blended Scotch whisky, iFi uses the term “Black Label” to denote models that have been built with carefully specified sets of specially selected, sound quality-minded parts. In the case at hand this means the Nano iDSD-BL uses Tantalum polymer capacitors in its power supply, thin film resistors for its audio section, TDK C0G capacitors for its analogue filter, Panasonic ECPU film capacitors for critical DAC reference voltages, MELF resistors for its proprietary iEMatch® circuit, a precision analogue volume control potentiometer, and an aircraft-grade aluminium chassis given a distinctive satin black finish unique to the Black Label models. My point is that Black Label models use better parts and sound even better than iFi’s standard models do, which is saying a lot. The DAC section of the Nano iDSD-BL is versatile and uses a Burr-Brown DAC, says iFi, to enable decoding “truly native DSD and PCM data streams.” Accordingly, the Black Label provides support for PCM files up to 352.8/384 kHz, for DSD files up to DSD256, for DXD files up to 352.8/384 kHz, and for MQA files. The Black Label also provides two switch-selectable filter settings, labeled Listen and Measure, whose effects are context sensitive depending on the types of files being played. For PCM files the Listen setting applies a minimum phase Bezier filter, while the Measure setting invokes a standard FIR linear phase filter. For DSD files, the Listen setting applies an “extended bandwidth, transient optimized” filter, while the Measure setting invokes a “narrow bandwidth, low output band noise optimized filter”. DXD files are automatically treated to the DAC’s “fixed bit-perfect processing”, while MQA files use built-in 88.2/96/176.4/192 kHz filters as appropriate.